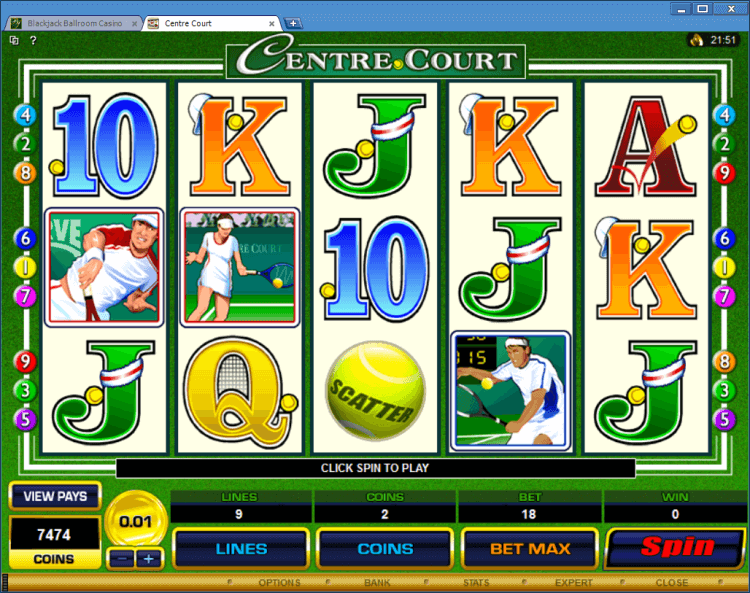 Centre Court regular video slot is slot on the tennis theme. Im still playing at BlackJack Ballroom application. 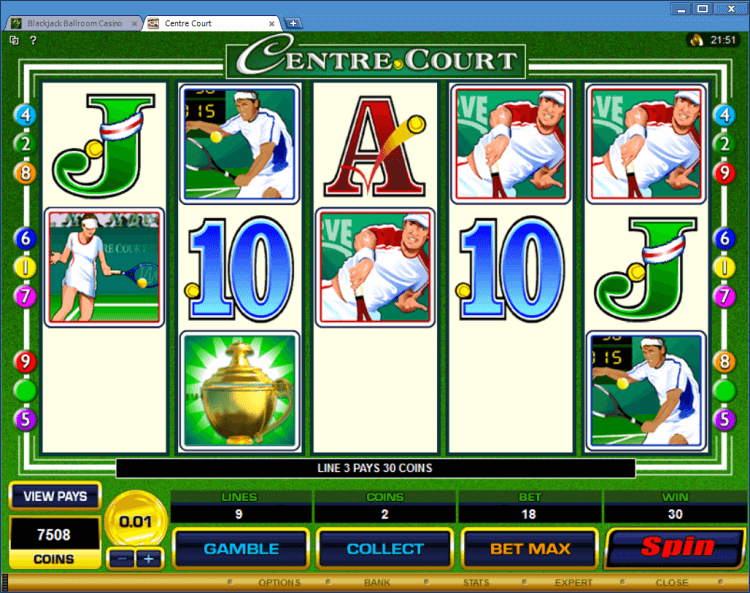 Centre Court is a 5 reel, 9 payline and 90 coin slot machine. Here you can see regular symbols, what dont have a bonus feature but complete regular winning combinations on enabled paylines. The Centre Court Trophy symbol is a wild symbol. This symbol substitutes for other symbols to complete wins. The Tennis Ball symbol is a scatter symbol. This symbol completes a winning scatter combination. Scatter payout depend on your total bet. Three or more Tennis Ball symbols activate the Free Spins bonus game. The Centre Court Trophy symbol creates a wild symbol stack. 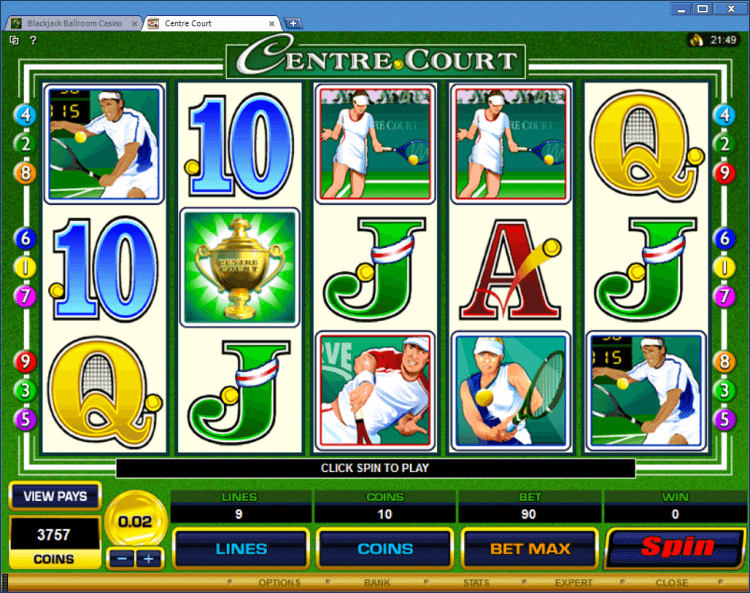 Also any win at the Centre Court slot activates the Gamble feature.